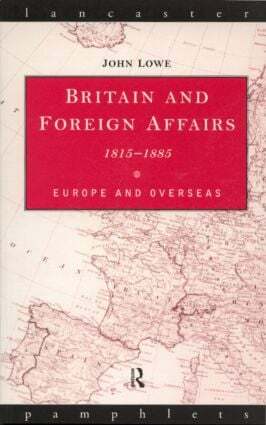 This pamphlet examines British foreign policy from Castlereagh to Disraeli. Focusing on Britain's relations with other European and non-European powers such as America, Afghanistan, South Africa and Egypt, this pamphlet examines the roles of Canning, Palmerston, and Gladstone amongst others. The author discusses British attitudes to empire, and analyses socio-economic, military and political factors as they influenced foreign affairs.